FILE PHOTO - The Exxon Mobil gas station in Denver, Colorado United States July 28, 2017. HOUSTON - Exxon Mobil Corp, the world’s largest publicly traded oil producer, posted a higher-than-expected quarterly profit on Friday as higher crude and natural gas prices more than offset the effects of a major hurricane on U.S. operations. The results highlighted Exxon’s strength in refining as it managed to increase profits at its U.S. downstream operations despite Hurricane Harvey, which shuttered many of the company’s largest U.S. Gulf Coast refineries in late August. Production of oil and gas also increased, even in the United States despite the storm, helped by higher pricing. “A 50 percent increase in earnings through solid business performance and higher commodity prices is a step forward in our plan to grow profitability,” Darren Woods, Exxon’s chief executive officer, said in a statement. Third-quarter net income jumped to $3.97 billion, or 93 cents per share, from $2.65 billion, or 63 cents per share, in the year-ago period. Exxon said Harvey dented quarterly earnings by 4 cents per share. Excluding the effects from the storm, Exxon earned 97 cents per share. By that measure, analysts expected 86 cents per share, according to Thomson Reuters I/B/E/S. Production rose about 2 percent to 3.9 million barrels of oil equivalent per day. Shares of Texas-based Exxon rose nearly 1 percent to $84.14 in premarket trading. The stock has lost about 8 percent of its value so far this year. Exxon plans to hold a conference call on Friday morning with investors to discuss quarterly results. Exxon Mobil Corp, the world’s largest publicly traded oil producer, posted a higher-than-expected quarterly profit on Friday as higher crude and natural gas prices more than offset the effects of a major hurricane on U.S. operations. 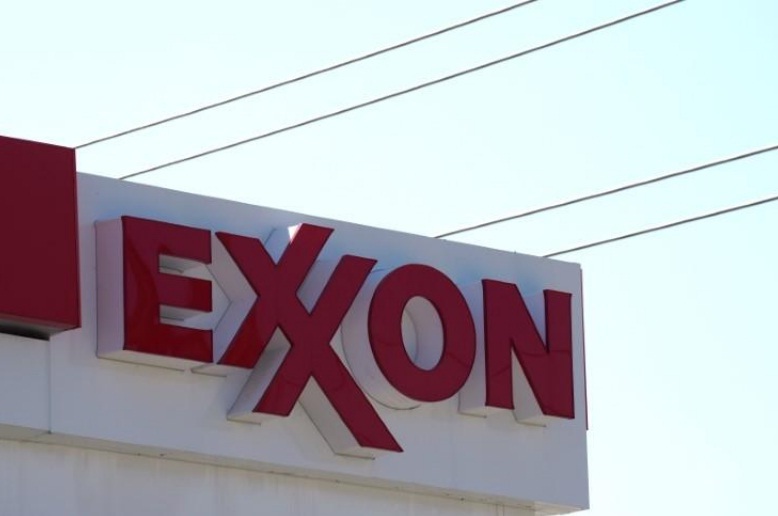 The results highlighted Exxon’s strength in refining as it managed to increase profits at its U.S. downstream operations despite Hurricane Harvey, which shuttered many of the company’s largest U.S. Gulf Coast refineries in late August.